Slouchy is the new skinny. Okay, okay, skinny jeans will always hold a place in our closets, but if you’re looking for a refreshing alternative to add to your denim collection this year, baggy jeans are it. While they may conjure images of ’90s Winona Ryder, Rachel Green, and TLC, the nostalgic denim silhouette has been given a modern makeover by fashion designers and It girls alike, permeating our Instagram feeds with roomy, comfortable delights. But how do you style baggy jeans so that they feel fresh and new? Shoes are one of the most important aspects to consider. 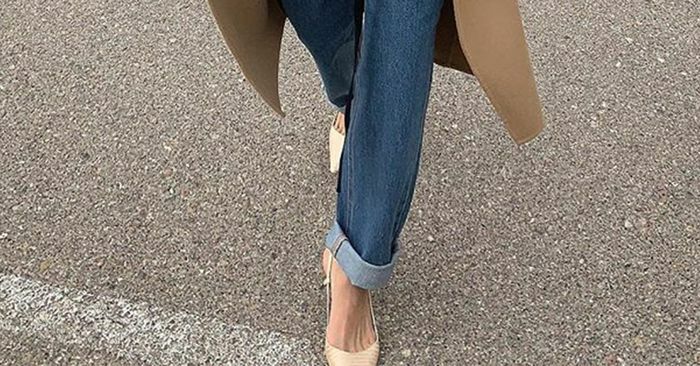 You can pretty much get away with wearing any shoe with a pair of skinnies, but loose-fitting jeans require a little more attention—in fact, we’d go as far as to say that the key to pulling them off has to do a lot with the shoes you style them with. Luckily we’re here to help in this department. Some of spring’s biggest shoe trends are the perfect fit to pair with the oversize look. So whether you opt for a low-rise waist and slouchy leg or a high-waisted slightly cropped silhouette, scroll below to see the must-have shoes that look effortlessly cool with loose-fitting jeans. April 18, 2019 Comments Off on JP Morgan: Is Wall Street’s first female boss a step closer?